We are united to promote ecotourism - the force that will contribute to a better understanding of our natural and cultural heritage and will provide revenue to the local community sufficient for people to value, and, therefore protect the environment as a source of income. The Armenian Ecotourism Association (ARMECAS) was created in 1997 to unite the people who regard ecotourism as a means of sustainable development of the country. Members of our organization are people of different professions; most of them are specialists in areas of natural and cultural heritage and the tourism business. 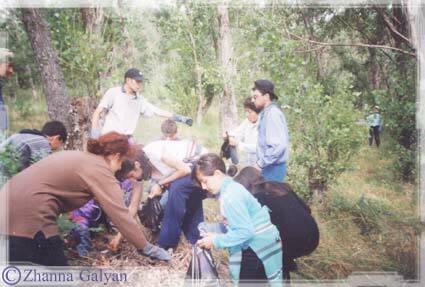 Mission: The Armenian Ecotourism Association (ARMECAS) is a non-governmental non-profit organization founded to provide support and assistance for the revive and restore of the natural and cultural-historical heritage of Armenia, as well as improving the welfare of the population through the development of ecotourism. To provide centralized information and technical assistance to organizations and individuals involved in ecotourism. To involve rural communities in ecotourism activities. To organize public efforts to promote activities concerning environmental protection and preservation of natural, cultural and historical monuments. To carry out awareness raising campaigns in partnership with the media with the aim of highlighting environmental protection activities. To contribute to the improvement of environmental law and tourism law. Assessment of Armenian ecotourism potential. Elaboration, planning and sample study of ecotours. Our expeditions and trips allow for the study of opportunities for ecotourism development in Armenia, as well as the establishment of contacts and the promotion of sustainable tourism principles in rural regions among businessmen, local communities, non-governmental organizations and officials. We have also planned and tested multiple ecotours, differentiated by types and levels of difficulty. Analysis of modern international experience in ecotourism development. ARMECAS emphasizes the identification of cases where nature is irreversibly damaged as a result of economic activities. The organization strives to find alternative ways and legal mechanisms for the prevention and elimination of existing problems. The project Tourist Information Center (funded by Eurasia Foundation) The extensive database was collected and the TourismArmenia web site was launched www.tourismarmenia.org. Courses for non-traditional tourism guides were organized. 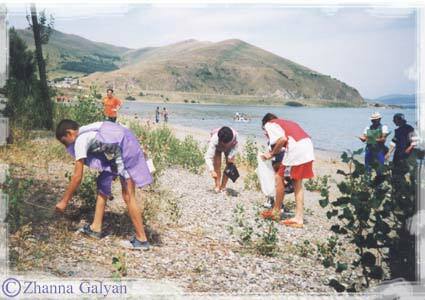 Over 160 students had their environment protection education course at summer EcoPatrol Camp on the shore of Lake Sevan. The volunteers collected and disposed of the waste from the peninsula and explained their activities to the tourists on the beach. Such actions are customary for our organization and we are expanding our audience through mass media. We established contacts and acquired new members in three regions of Armenia, including the personnel of three protected areas. We collected videos and photos as material for the creation of the Ecotourism in Armenia web-site (www.ecotourismarmenia.com), and filmed the first video advertisement devoted to ecotourism. Launch of advertisement and marketing campaign for the Southern Caucasus Eco/Agrotourist using a joint database, joint website (eatsc.ecotourismarmenia.com) , and advertisement journal. Creation of joint eco/agrotourism itineraries and advertisement and promotion of them for internal and external markets. Provision of information about tourist routes to tourist companies, as well as consulting and technical support for their implementation to private structures. The Tourism in Mountain Regions - Influence on Natural and Cultural Diversity international workshop was held in Yerevan, Armenia 27-29 October 2003. The workshop was sponsored by the East East Program of the Open Society Institute Assistance Foundation - Armenia. Development and publication of the Ecotourism in the Specially Protected Natural Areas: Guide for Planning and Management. Study guide for students and professors. Development of the ecotourism parts of the Management Plans for the Specially Protected Natural Areas of Armenia. Study tour to the Borjomi-Kharagauli National Park in Georgia - the first National Park in accordance with international standards in the Caucasus and the only PAN Park in the Caucasus Region. Preparations of all necessary documents and complete all the regular procedures to obtain the governmental decision for legitimating the new protected area. Financed by the Conservation International Foundation (CI)/ Critical Ecosystem Partnership Fund (CEPF) / WWF Armenia. Further research into Armenia's ecotourism potential. Promotion of ecotourism ideas and principles. Mobilization of efforts, using the knowledge and capabilities of experts for the provision of wide discussions and exchange of ideas at the local, regional and national level. Organization and representation of all parties interested in ecotourism issues for joint consideration by decision-making bodies. Continued efforts for the improvement of environmental law and tourism law. The private tourism sector in planning, advertising, promotion and implementation of ecotours. The personnel of protected areas in planning, development and management of ecotourism. The local communities on issues of rural and community-based tourism development. In its activities, ARMECAS collaborates with numerous environmental NGOs, the Ministry of Nature Protection, the Tourism Department of the Ministry of Trade and Economic Development, the Armenian Tourism Development Agency, the Ministry of Culture, Sport and Youth, the Ministry of Science and Education, the Institutes of Botany and Zoology of the National Academy of Sciences, as well as with private tourist organizations, the management of protected areas, mass media and rural communities. to contemplate and to appreciate the value of its fragile beauty. It is impossible to keep nature under glass in order to protect it. To do this we have to show people the mechanism of profiting from nature preservation, or in other words to provide financial incentive for the restoration and protection of the natural and cultural environment. Contemplative or ecological tourism is one of the means to prevent the destruction.
" (Ceballos-Lascurain, 1987, WWF, Vol.1, 1990). Tourism in natural areas may be called ecotourism only when it meets three main requirements: promoting protection of the natural and cultural heritage, raising awareness of environmental protection, and improving the welfare of local inhabitants. 1. Revival and protection of natural and cultural heritage..
We can achieve them in two ways. minimize negative impacts on the environment, following the Code of Ethics, the rules of careful approach towards cultural and natural values; broadly involving environmental specialists in the tourism activities; investing part of the profit in projects of preservation of natural and cultural heritage. The second way: develop ecotourism as environmental management tool -- to assist organizations and groups involved in protection of natural and cultural heritage with the aim of promotion and implementation of ecotours. The profit from the ecotours will be used for achieving the goals of preservation projects. 2. Improving welfare of local people. One of the greatest incentives for conservation among local communities is to establish tourism as a sustainable revenue source. It is necessary to discuss with local communities, facilitating wide-ranging and open participation - local accommodation, particularly rural homes, all types of transportation, all meals, sale of local handicrafts, use local guides. To protect the environment we should be able to contemplate and to appreciate the value of its fragile beauty. Ecotourism stimulates among travelers and inhabitants an awareness, appreciation and understanding of the ecosystem and the need for preservation. It is necessary to have appropriate personnel and programs to educate visitors. Minimize negative impact on ecological systems and ethnic populations. Groups are small in number to prevent adverse effects on the environment. Tour members are briefed about each encounter in the tour, and what behavior will provide the least negative impact on the local environment. Employ only qualified specialists in the field of interest for each tour. Guide lectures are informative, understandable and accurate. Activities are enjoyable, but not detrimental to the natural and ethnic environment. Appropriate pre-tour preparation. Tour members are briefed before arrival about the ecological and ethnic cultures they will encounter in their travel, as well as the unique cultural environment in Armenia, helping them to enjoy Armenia without inadvertently having a negative impact as a guest. Customs, traditions, appropriate behavior as a guest, ways to prevent upsetting the ecological balance are maintained and encouraged by trained guides, who are working scientists in the field of interest for the tour, and concerned about saving their environment. Promote local conservation and cultural contact through Ecotourism. The Ecotours employ local people at all levels of management and operation. Wherever possible, service providers come from the eco and ethnic areas to be visited. Contact between Tour members and the local population is encouraged to both promote inter-cultural understanding and to promote eco friendly businesses, which will do much to preserve the environment. Support local ecological initiatives. Income from Ecotours employ scientists, naturalists and the local population. Tour prices include a donation to fund ecological preservation and maintenance programs. Waste Management Practices. Ecotours will promote responsible waste management at all times, including using recyclable and biodegradable products whenever possible, advising tour members how to minimize the amount of disposable items brought into Armenia, and insuring all waste products from a tour are removed from visited areas in an eco-friendly way. Encourage personal commitments from Tour Members. Ecotours encourage tour members to aid in conservation efforts in Armenia, by contacting appropriate authorities on the value and need for conservation in Armenia, volunteering for local conservation projects, and aiding in the budding education process on the local level to the benefits of eco-friendly living. Ideas of ARMECAS largely reverberate in our country. We have people of various backgrounds and age groups as our members. These are environmental professionals, specialists in the spheres of preservation of cultural and historical heritage, people working in the tourism industry, mountain-climbers and many others. We are all in love with nature and our Motherland. We traditionally have caring attitude towards the nature, waste management, disposition and equipping of camping stations, educating cautious attitude of children and youth towards nature. We also have a trained staff of guides and instructors knowing every corner of Armenia. ARMECAS welcomes local and foreign membership. By becoming a member of ARMECAS you'll assist preservation of this land of unique nature, history and culture. ARMECAS is a member of International Ecotourism Society (TIES). What is ecotourism? What are the prospects for its development in Armenia? How can it promote development of our country? Ecotourism was defined in 1987 as "
Additionally, ecotourism is an opportunity to observe and admire nature, while not depriving future generations of this opportunity. When "Ecotourism" is used as a search term on the Internet, it brings results beyond any expectations. A huge number of tourist agencies promote tours and describe them as natural, green, adventurous, and, finally, ecotours. Web pages are colorful and beautifully decorated. It is currently the most rapidly developing type of tourism. It does not require a network of comfortable hotels and restaurants and is quite developed in many countries, bringing in much income. An international network of scientific, public and other organizations dealing with the problems in this field has been established. Its main goal is to find funds and mechanisms to make tourism a means of protection of natural and cultural heritage and sustainable development. Relatively untouched nature and a great number of historical monuments of Armenia (from pagan sanctuaries to ancient and medieval Christian monuments) present opportunities for the development of ecotourism. The ecosystem in Armenia is one of the most diverse in the world: five of seven primary topographies exist in our small country (about 30,000 sq. kilometers), which provides remarkable bio-systems in flora and fauna. Because of its diverse topography, Armenia's mountains experience seven springs during the warm weather season, with permanent snow capped mountain peaks a few hours' drive from subtropical valleys. Armenian Flora includes approximately 3500 species of higher vascular plants. The diversity of Armenian Fauna is relatively high, due to the mountainous nature of the landscape and consequent high diversity of habitats. In addition, the country is located along one of the major migratory flyways, and has several sites of great importance for migrating birds. Recent surveys have established the presence of 349 species of birds, belonging to 18 orders and 58 families, 84 mammals, 7 amphibians, 43 reptiles and 28 fish. A preliminary market survey revealed an active interest in Armenian ecotourism and demand for the following types of ecotours: birdwatching, botanic, zoological, geoecological, spelaean (cave), mineralogical, historic and ethnographic tours, as well as all the types of so called adventurous tourism - horsebackriding, hiking, trekking, skiing, boating, windsurfing, cycling and even riding on donkeys. All of the above-mentioned tours, except adventurous ones, could be organized as scientific tours for the so-called informed tourists and promoted as general understanding tours for a larger number of tourist-naturelovers. What can ecotourism give to our country? Maybe it would be better to keep a man away from wild nature and to make that a better way to save it. Let us consider the pros and cons. First of all, man invades nature with aggressive and destructive methods to obtain vital resources and benefits: e.g., mining, logging, cut-and-slash-agriculture (tree cutting for increased farm land), non-regulated hunting and fishing (poaching), and irrational use of water resources. Also, it is quite natural that private persons who do not have any livelihood and have access to nature, to use natural resources. As a result, there is a new practice of collecting, selling rare species of flora and fauna for both local and foreign markets. It is not possible to put nature under a cover and protect it this way. If we want to protect it, we need to suggest to people a method of obtaining benefits from a well-protected nature. In other words, we need to create an economic incentive for the reproduction and protection of the natural and cultural environment. One of the ways to promote this process is contemplative or ecological tourism. We need to make the decision whether to earn money by showing tourists well preserved wild nature or by selling timber, wild flowers, herbs, live animal species, stuffed animals and dried insects. Perhaps we should make wider ranging nature destruction a part of state environmental protection policy like mining or criminal use of Lake Sevan water. lack of awareness of the population about the activities at specially protected natural territories and the need of them. Can our country allocate enough resources for the preservation of specially protected natural areas? If not, maybe it is worth while to think of ecological tourism as a means of managing specially protected natural areas and providing funds for environmental protection and scientific activities at these areas. This method is applied in many countries and called the commonly accepted term of "ecological management." An important type of ecotourism is where tourists assist scientific expeditions with both finances and participation. International organizations such as Earthwatch, Smithsonian Research Expeditions, the Foundation for Field Research and others support and sponsor scientific expeditions with funds and organize groups of tourists composed mainly of explorers and students who are eager to collect scientific material, and participate in the expeditions and everyday protection of nature. These are several options that will promote ecotourism. These are issues to be solved and it should be done on the state level. These issues should be thought over carefully, involving the best specialists in the following fields: natural and cultural heritage protection, tourism, economic development and others. What is the current situation in this field in Armenia? 1. there are natural, cultural, historic and human resources. 2. there is a growing interest in ecotourism on the part of private business as a source of profit in Armenia and abroad. 1. there is no understanding of the ideology, purpose and mechanisms of ecotourism at all (while there is a distinct unwholesome interest in hunting tours). 2. there is no planning and arrangement of this process at any level. Ecotourism has powerful mechanisms to solve both ecological and social problems. Like traditional tourism, ecotourism is an efficient means for a country's economic development and plays a significant role in people's well being, especially those in rural areas: it provides jobs for local guides and organizers, income from the use of local transport, rural inns and houses are considered the best places for tourists to stay and enjoy local food, and tourists buy folk and handicraft objects and attend folk ensemble performances. Ecotourism thereby promotes human resources development and social stability, providing jobs for many people. Ecotourism has all the prerequisites to become a link in the chain of a country's sustainable development. Ecotourism, however, should be carefully developed and well planned to be beneficial and not damaging. In fact, ecotourism is not a type of tourism. It is better to look at it as an attitude to tourism in general, especially in our country. 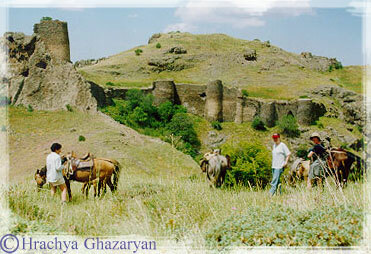 It is obvious that in Armenia tourism may develop based on the rich cultural, historic and natural heritage. If we are not careful to protect this heritage, our tourism business will end up "biting the hand that feeds it". It is necessary to provide discussions to develop a national strategy of ecotourism in Armenia. All the interested parties should be involved in this process of planning, development and management of ecotourism at local, regional and national levels. Now is the time for establishing a National Council for Ecotourism Policy. Armenia's relatively untouched natural areas and great number of historical monuments (from pagan sanctuaries till ancient and medieval Christian monuments) present opportunities for ecotourism development. Armenia has widely diversified ecosystems: five of seven primary topographies exist in this small country (about 30,000 sq. kilometers), which provides for remarkable bio-systems in flora and fauna. Because of its diverse topography, Armenia's mountains experience seven springs during the warm weather season, with permanent snow capped mountain peaks just a few hours drive from subtropical valleys. Armenian Flora includes approximately 3500 species of higher vascular plants. The diversity of Armenian Fauna is also quite substantial, due to the mountainous landscape and diversity of habitats. In addition, the country is located along one of the major migratory flyways, and has several sites of great importance for migrating birds. Recent surveys have shown that there are 350 species of birds, belonging to 18 orders and 58 families, 84 mammals, 8 amphibians, 53 reptiles and 39 fish in Armenia. Armenia has a developed system of protected territories: 4 natural preserves, 22 State reservations, 2 National Parks that occupy 10% of its total territory. Currently, 2 additional National Parks - Arpi and Jermuk - are in the process of being established. Each of these territories provides endless opportunities for ecotourism development. Each picturesque mountain village with its inimitable landscape, local traditions, unique cultural and historic monuments hidden in rocks and accessible only for hikers have great potential to lure in tourists. There are many opportunities to implement community-based projects that have shown to be successful in many countries. 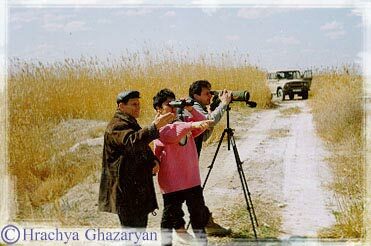 A preliminary marketing survey has revealed a demand for the following types of Ecotours in Armenia: bird-watching, botanical and zoological tours, geo-environmental tourism, cave tours, mineralogical tours, historical and ethnographical tours and all kinds of adventure tourism - horseback-riding, hiking, mountaineering, mountain skiing, waterspouts (yachting, windsurfing), parachuting and cycling. All of the above-mentioned tours, can be organized as both scientific tours and general tours for mainstream tourists and naturalists. Its rich natural, cultural and human potential are encouraging for Armenia to make its first steps in the implementation of Ecotourism development. 1. 1 World Bank/Government of Armenia - "Natural Resource Management and Poverty Reduction" Project. This project includes Ecotourism development component in the provinces of Tavush and Gegharkunik - National Parks of Dilijan and Sevan. The preliminary activities were completed recently and project implementation has started. Tourism infrastructure development - visitor centers, campsites, limited number of mountain huts, tourism infrastructure connecting key historical, architectural and natural monuments on the territory of the Parks, reconstruction of roads. Production of educative, interpretive, cartographic and advertising/marketing materials. Training for the personnel of protected areas and local guides. Organization of search and rescue activities. 2. Armenian Ecotourism Association is the initiator, author and co-producer of "Development of Eco/Agrotourism in the Southern Caucasus" regional project. The project is financed by the Cooperation Program of the Eurasia Foundation. The development of tourism in many countries has forwarded the notion that Ecotourism (that initially appeared as a mechanism of natural and cultural environment protection) and Agrotourism (a mechanism of rural social and economical development) are two closely interconnected and mutually enriching activities. The landscape, climate, and social-economic conditions of Southern Caucasus region approximate these types of tourism, as well as adventure tourism and allow gathering them under joint niche of Eco/Agrotourism. Launch of advertisement and marketing campaign for the Southern Caucasus Eco/Agrotourism using a joint database, joint website, and advertisement journal. Creation of Confederation of Southern Caucasus Eco/Agrotourism Associations in order to implement research, information, consulting, training and analysis functions. 3. Community-based tourism Project in Tatev village of Siunik province. Here natural wonders neighbor the architectural masterpieces of ancient Armenia. Tatev monastery ( IX-XIII cc. ), largest spiritual, political, cultural and educational center of medieval Armenia, is situated at the edge of deep canyon and easily blends into amazing beauty of surrounding mountains. The monastery hosted the University that functioned over millennia ago. The canyon is rich by attractions - it has 2 other architectural monuments, mineral water springs and "The Devil's Bridge" natural monument on Vorotan River. Project aims to make Ecotourism a tool for collective use and management of resources. In order to make ecotourism an effective alternative to aggressive and destroying human impact on nature, to reduce pressure on resources, it is necessary to engage the whole communities interest rather than just a few individuals. This project is based on the active creative involvement of many people in all phases of Ecotourism development: planning, development, management, implementation and profit distribution. 1. Many tour companies try to advertise and to conduct nature tours, but very few have had success and reached large audiences. In order to be successful in this area it is necessary to create tourist products that are up to international standards, including advertisements and marketing. It's necessary to consider the ideology of Ecotourism and the essence of the Ecotourist - a curious individual, who ceases to be a passive observer and tries to have an active role in the protection of the world's natural and cultural heritage. 2. In all provinces of Armenia there is a large interest and desire of rural communities, official structures, protected areas' personnel, as well as, of course, private business (small hotels/guesthouses/restaurant owners) to be involved in Ecotourist activities. There are many interesting ideas and opportunities and a high level of knowledge about terrain, history and love of ones native land - all of these factors are essential to include in presenting Armenia to tourists. However, there is a complete absence of knowledge on the business of tourism, education on contemporary international standards, lack of technical means for planning, advertisement and promotion of the local tourist products. 3. Successful development of Ecotourism is hindered by the numerous problems faced by protected territories- disputed boundaries and zonal division, insufficient number of qualified personnel, weak material support, absence of reproduction basis. The absence of legal mechanisms ensuring the repayment of economic activity (including tourism) income immediately to the protected territory, rather than through government budget is important. Currently, the Armenian government in undertaking actions to resolve this problem. Ecotourism has all the prerequisites to become an important link in sustainable development of the country. The Armenian Government understands the importance of detailed research and planning in this area. Currently, activities are implemented to create a joint national strategy for development of Ecotourism and Agrotourism in Armenia. That national strategy is called upon to regulate the whole spectrum of problems: define natural zones, permitted for Ecotourism development, the types of tourist activity for each zone, necessary works for preparation of these zones for tourist activity, income distribution mechanisms for environmental protection, involvement of rural communities and numerous other issues. Project "Assistance to Establishment of the New Specially Protected Natural Area Arevik in Southern Armenia". Funding organization: Conservation International Foundation (CI)/ Critical Ecosystem Partnership Fund (CEPF ) under the general supervision of the WWF Armenian Branch. Development and publication of the "Biodiversity and Ecotourism. Guide for Ecotourism Planning and Management in the Specially Protected Natural Areas. (funded by USA Embassy in Armenia). The Guide will serve 3 main target groups with the following purposes: 1/ for decision making and the strategic planning; 2/ for practical planning, management and control of ecotourism; 3/as a study guide for the students and professors.